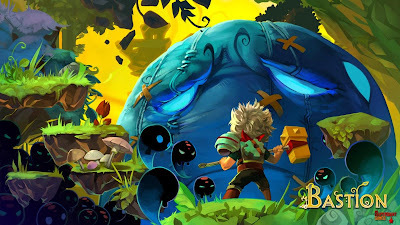 Bastion an action RPG game by Supergiant Games, is easily one of the best indie games to come out this year. The game has received numerous accolades all over the web and has been rated very high by popular game critics. 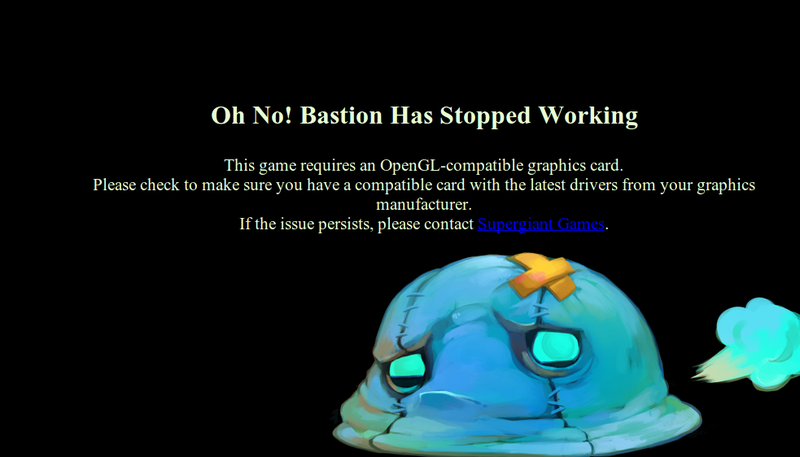 Supergiant Games recently released Bastion as a Google Chrome app. The game takes advantage of Google's new Native Client (Nacl) Technology. Bastion has some pretty high end features, effects and animations but it runs really smoothly, as good as natively installed games and never feels like a browser game. Native Client is an open-source technology that allows you to build web applications that seamlessly execute native compiled C and C++ code code inside the browser. Yet Another Browser Plugin for Playing Games? How it is Native? Native Client is sandboxed and it uses a modified version of the GCC compiler toolchain that further restricts apps from making illegal and insecure calls. It lets developers re-use existing C and C++ libraries i.e math, graphics, audio libraries. The current version of NaCl runs hardware accelerated 3D graphics (via OpenGL ES 2.0), sandboxed local file storage, dynamic loading, full screen mode, and mouse capture. NaCl will take full advantage of your powerful graphic card. You can install these apps/games in standalone mode. Just place the shortcut on desktop and launch it with one click. You won't even feel that it a web browser. Chrome/ium 15+ comes with NaCl enabled by default. You can double check by going to chrome://flags from Chrome address bar. However, NaCl does not work on current stable build of Chromium 32 bit. Because of a bug it seems like NaCl support for 32 bit has been withdrawn temporarily (I may be wrong but its not working for me). 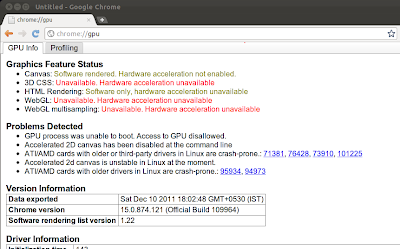 But 64 bit users are able to run NaCl in Chromium. Because of these issues I installed Google Chrome and to my surprise NaCl is working on 32bit. However there is still one more issue. 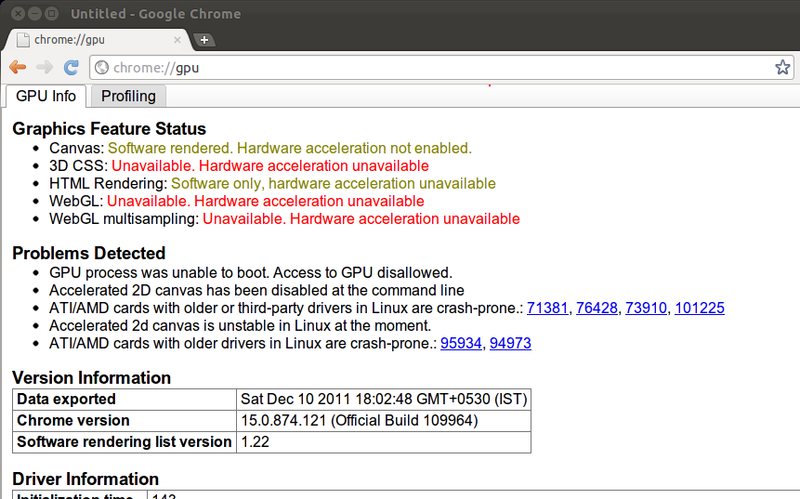 Many graphic drivers for Linux has been blacklisted in Chrome (ATI HD 4650 in my case). So when you run Bastion in Linux you will get this message. Or, you can type chrome://flags in address bar and enable Override software rendering list (browser restart required). Now that everything is in place we can run Bastion on Chrome. If you still get graphic card related errors, then It seems that your graphic card does not meet minimum requirements by the game. Also purging open source drivers and installing proprietary ones will solve most of the these errors. 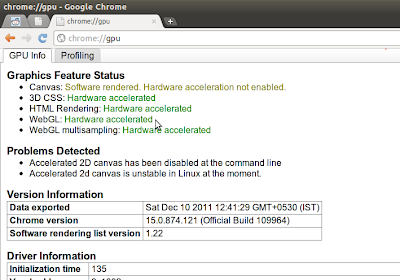 Of course, users won't have to go through all this process if they have got a graphic card supported by Chrome on Linux. 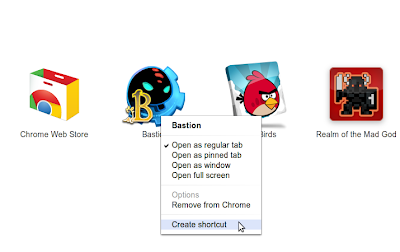 Just head over to Chrome Web Store and Install Bastion Demo. You can buy full game from in game link for $ 14.99. To make a desktop or menu shortcut right click on its icon on new tab page. Watch the video below showing Bastion running on Ubuntu 11.10. I haven't experienced any frame rate or lag issues so far. Lag in video is recording issue plus audio and video streams are a bit out of sync so bear with it. Lastly, more such games will come to Chrome in future. Let us know in comments section if you want news updates and reviews on these games.